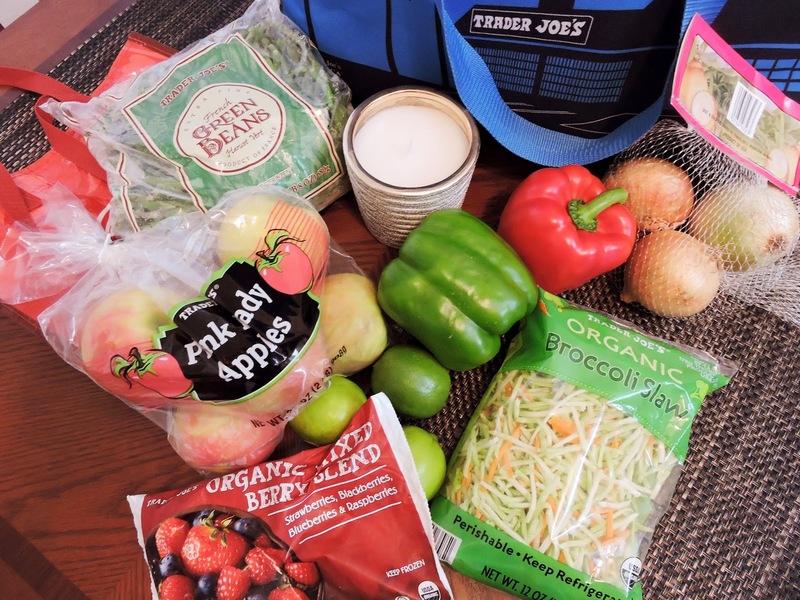 I'm back with another Trader Joe's grocery haul- where I show you what I've picked up on my most recent shopping trip. While all of the items I purchased are Paleo-friendly, I will note in the descriptions whether or not they are compliant for a Whole30 challenge. I'll also give you a little more info as to why I pick up certain things, & what I plan on using them for... so look out for recipe links within the post! All Whole30 compliant, besides the bacon. Fully Cooked Uncured Bacon~ This is a staple at our home, so we always keep it on hand. The fact that you can just microwave it for a few seconds makes it really convenient for breakfast. It's also great chopped up & added to other recipes. Most bacon is not Whole30 friendly, but if you're looking for one- make sure there are no added sugars. I would check Whole Foods! Organic Free Range Chicken Breast Tenders & Thighs~ I love the flavor & texture of chicken thighs, but I like to mix them with breast tenders in most dishes so that I have some leaner cuts of meat mixed in. Chicken curry is a favorite dish of mine, as is Shredded Salsa Chicken in the crockpot (recipe here). We like to use chicken in our stir fry too! Organic Grass Fed Ground Beef~ Good quality at a great price! 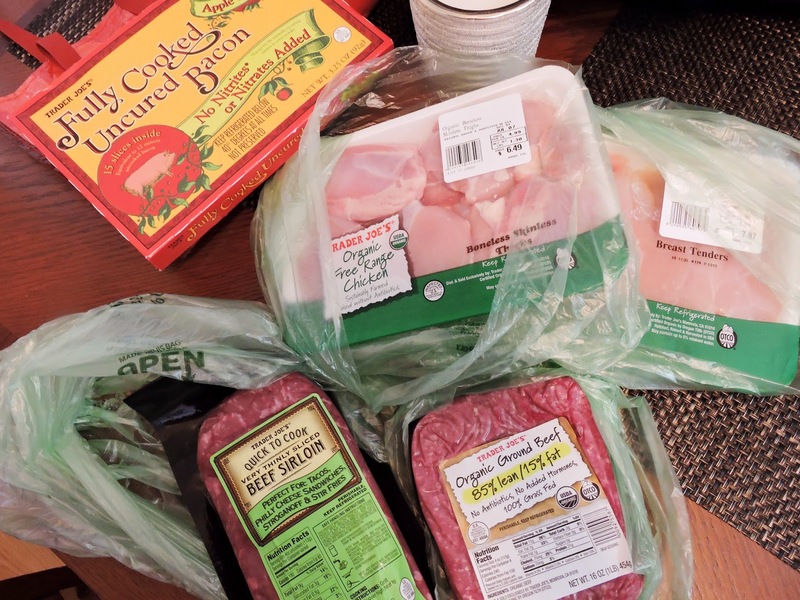 I use this for Tomato Basil Meat Sauce, All-American Crockpot Chili, and Classic Paleo Meatloaf (one of my favorites!). Fruits & veggies are your friend on a Whole30! French Green Beans~ I throw these in my curry sometimes, but typically I make Crispy Oven Green Bean Fries! They're so easy & Whole30 friendly, too! Pink Lady Apples~ These are great for snacking (try dipping them in coconut butter that's sprinkled with cinnamon... it tastes like frosting!). I also like the bagged apples for Baked Cinnamon Applesauce, since they can be a little bruised sometimes. Bell Peppers~ I dice these up for salads, throw them into Paleo Breakfast Burritos, simmer them in curries, mix them with onions for fajitas, and sometimes just snack on them too! Another staple for me. Limes~ Great for squeezing over fish (try my Grilled Mahi Mahi) or fajitas. I also like lime juice in my Creamy Citrus Almond Dressing, which is Whole30 friendly & made with almond butter. Organic Mixed Berry Blend~ Great for dessert or blended into a smoothie. You could also use this mix in place of straight blueberries in my Baked Blueberry Nut Bars. White Onions~ Great flavor booster for any dish! The white ones are sweet & light in flavor. Coconut milk & cashews are both Whole30 compliant. 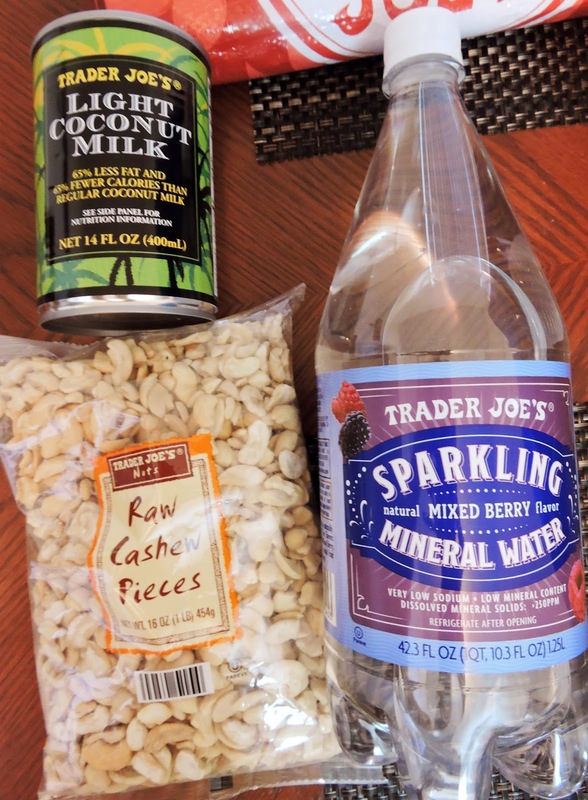 Raw Cashew Pieces~ I love that these are a few dollars cheaper than the whole raw cashews. When making Larabars (see my Coconut Cream Pie flavor recipe here, and look out for a Lemon Bar flavor coming soon!) or other baked goods with cashews, I'm smashing them up anyway! So the pieces work just fine for me. Waiting ever so patiently for a TJ's to open closer to home ... closest one is 45 miles and I just can't do that drive yet! Next year, hopefully early spring one will open close to the office! I'm so stinking excited! Thanks for sharing!